Teej festival marks the arrival of the Sawan (month of monsoon) and is celebrated for two days in hindu month of Shravan (July-August). 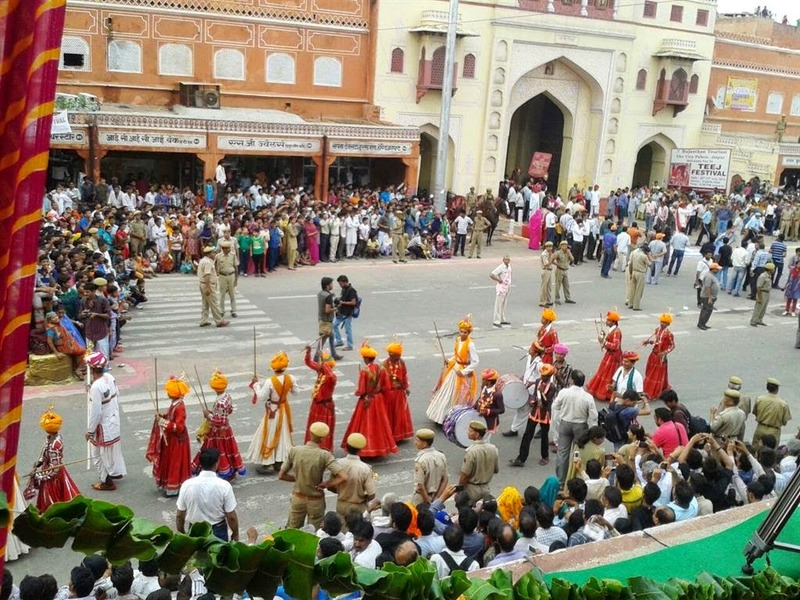 Teej is celebrated in many parts of the country; however when it comes to celebrations Jaipur clearly steals the show. The scent of the soil wetted by monsoon rains on the desert region is simply amazing and absorbing. An extravagant procession scheduled for 2 days in the lanes of the old city brings the whole city out on the roads to mark as welcome of rain gods. Teej Mahotsav (festival) creates an aura of a grand carnival covered in blanket of age old traditions. The grand procession gets a traditional start from City Palace, Tripoliya Gate. Teej festival is dedicated to Eternal or divine couple of Lord Shiva and Goddess Parvati. One day before this festival is celebrated ladies put Mehandi on their hands and traditional sweet "Ghevar (घेवर )" is consumed. Ghevar is prepared only during this time of the year. Girls wear new clothes and mothers-in-law gift jewellery to newly married daughters-in-law on her first Teej after marriage. Elephants enjoy a special place in Indian culture as an eternal omen of good luck. Decorated elephants are a real delight to the eyes. 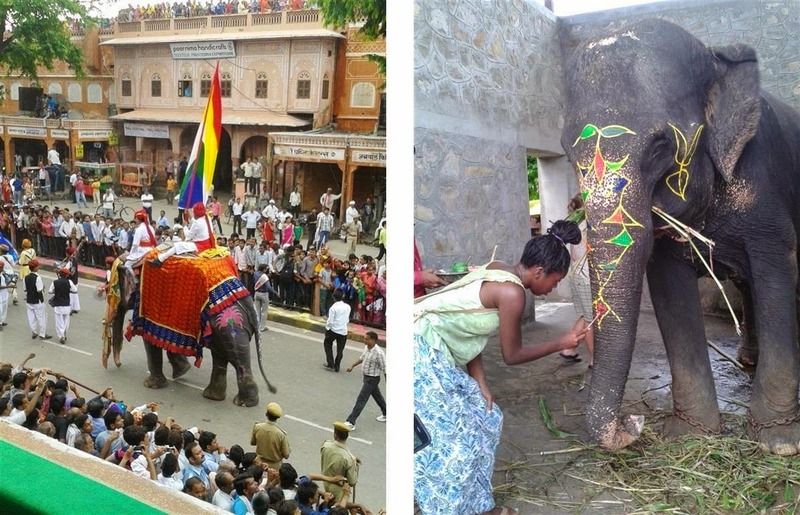 Decorating the elephants is an activity in which you can also be a part. 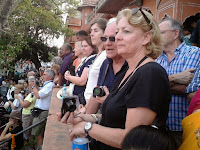 Contact Mr. Dinesh Soni (dineshsoni_70@yahoo.com) for indulging many more such activities. I was totally unaware about this grand magnum opus, but surely this has the potential to be one of the most grand celebrations on this earth. Keep travelling Guys...Keep some time to visit Chand Bawdi, which is 90 Km. 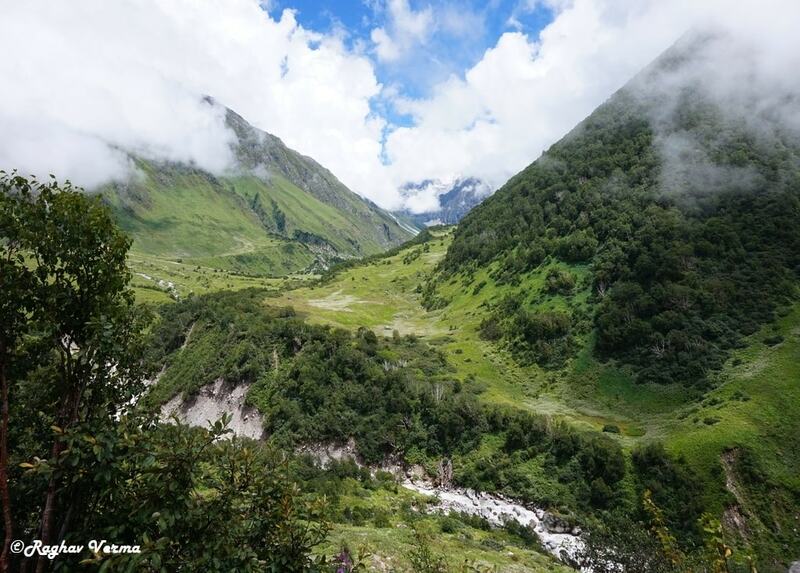 from Jaipur on Jaipur-Agra road, you will be surprised by this hidden spot. To explore the royality of Jodhpur, we landed up in Jodhpur one fine morning and first destination on the list was "Umaid Bhawan Palace". One can book an auto for Rs. 500 and a taxi (AC) for Rs. 1100-1200 for a complete city tour. One of the largest private residences in the world, this huge architectural giant has 347 rooms and is still the main residence royal family of Jodhpur. 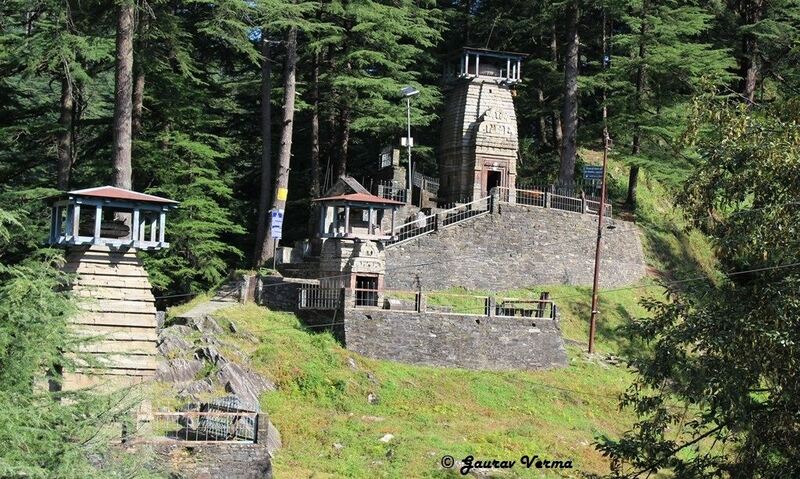 In sync with the name this was built by Maharaja Umaid Singh (1929 – 1942). Built in local sandstone, this is one of the finest examples of fusion of Indo-western architecture. A unique feature of this palace is that the sandstone blocks have been put together in a special system of interlocking without any mortar binding. 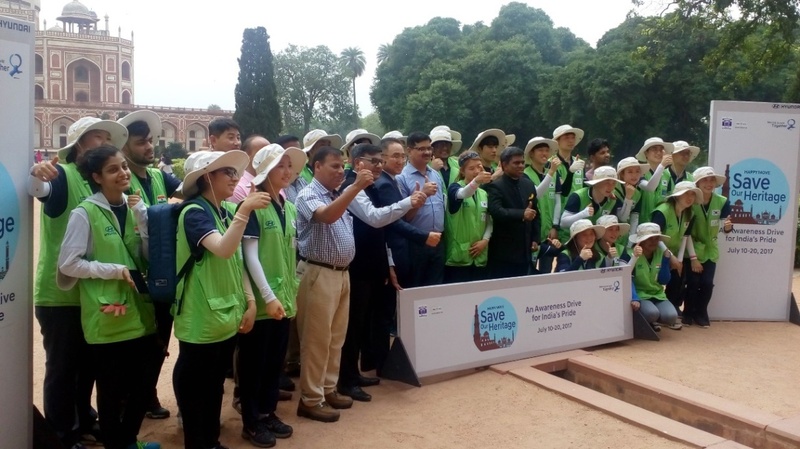 After cherishing the grandeur of Umaid Bhawan it was the time to feel the might of "Mehran Garh". Situated on a 150 m high hill Mehran Garh Fort is a fort, which is formidable as well as magnificent fort in Rajasthan. Rao Jodha ladi the foundation for this fort on 12th May1459, but the fort has been groomed by subsequent rulers of Jodhpur ever since. 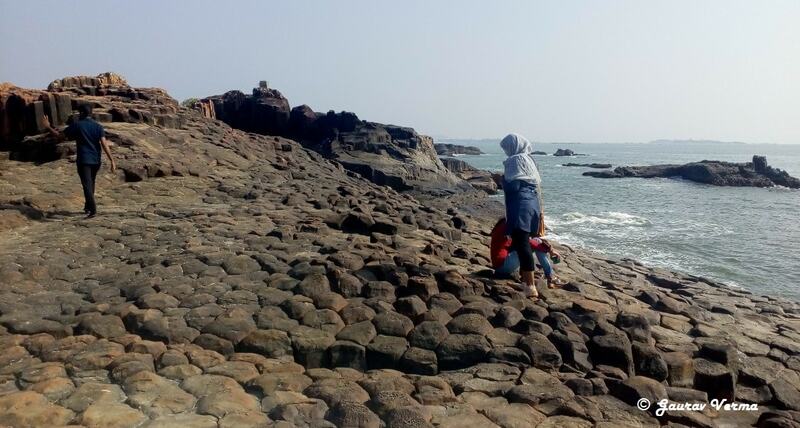 The hill was known as Bhakurcheeriya (Mountain of birds) and Cheeria Nathji, an old hermit used to reside here in the cave which is situated just at the entrance of the fort. Disturbed by the construction of the fort he left his cave and cursed the invaders of his solitariness,” Jodha, May your citadel ever suffer a scarcity of water” In order to appease the gods, a house for Cheeria Nathji in the new city and a temple in the fort very near the cave the hermit used for meditation was constructed by Rao Jodha. To make the site auspicious, Jodha buried a man, Rajiya Bambi (Meghwal) alive in the foundations in lieu of promise to look after his family forever. The promise has been honoured by Rathores till date. What is not established truly is that along with Rajiya Bambi, three more were buried alive in the foundations. Lets leave the legends and enjoy the grand fort. With constricted entrance roads paved with boulders/ barriers, narrow staircases and concealed positions for soldiers to attack the incoming enemy, this Fort is a classic example of warfare architecture. While walking around do not miss to appreciate the delicately carved palace walls. 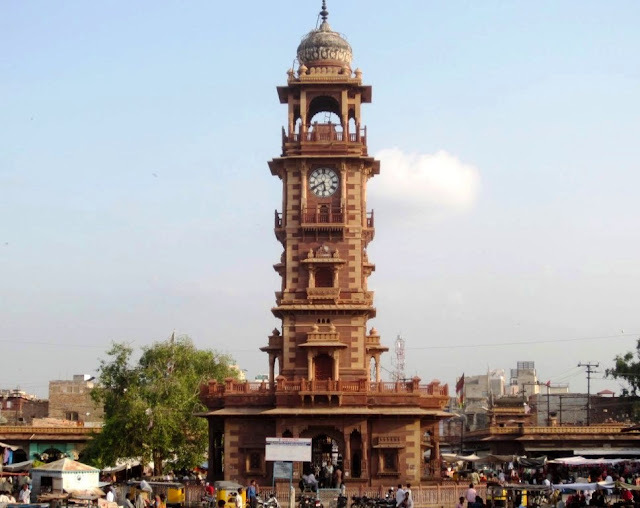 Jodhpur is also known as “Blue City”, reason is visible apparent. All the houses near the vicinity of Mehrangarh fort have terraces painted in blue. Coming down from the Mehrangarh fort on left is Jaswant Thada, the royal marble cenotaph of Maharaja Jaswant Singh II. Also known as Taj Mahal of Marwar, it was built by Maharaja Sardar Singh, son of Jaswant Singh - II. The main memorial has been built like a temple with intricately carved marble stone. Passing through a secluded road, the passage itself presents a mystic aura. Apart from the main cenotaph there are some more cenotaphs adjacent to this, looks like Stonehenge of Jodhpur. Last spot in the itinerary was Mandore Gardens. Mandore was the former capital of Maharajas of Marwar and is located about 5 miles north of Jodhpur. Again in this place are the cenotaphs of Jodhpur's former rulers. However unlike other cenotaphs typical of Rajasthan, these are built similar to Hindu temples, four storeys high, fine columns and an elegant top, in red sandstone. These cenotaphs are set in beautiful landscaped gardens. Major attraction here is “hall of heroes”, which is dedicated to various deities and Rajput folk heroes and the statues are carved out of rock and painted in bright colours. In the next door you will find brightly coloured images of the various Hindu Gods. 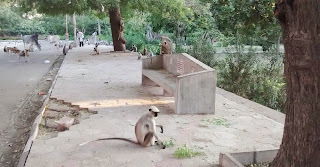 Its extensive gardens with lot of Grey Langurs or Leaf Monkeys make it a very popular local attraction. Take care of your cameras and mobile phones. Trip to Jodhpur is incomplete without a visit to the legendary "Ghanta Ghar". This is one of the most happening places in Jodhpur. Jodhpuri Jutis (shoes), Suitings and do not forget to shop handicrafts and souvenirs from shops, which are too many in Jodhpur..
Next morning it was the time to visit Bishnoi region, which is around 22 km. from Jodhpur City. Bishnoi villages are a self-sustained villages where 363 people have sacrificed their lives to preserve trees. Here people are happy with whatever they have. We were lucky that we kept one extra day in Jodhpur. Next morning we had to catch the early morning train (No. - 14659, DLI JSM EXPRESS) to our next destination, from Jodhpur to Jaisalmer, Golden City, Jaisalmer. Also around 65km. 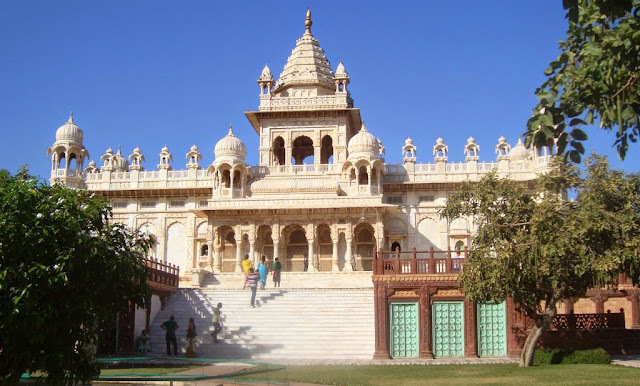 from Jodhpur city is Ossian Temple complex of around 100 temples. Worth visiting for more than thousand year old temples. 300 Km. from Jodhpur is the city of Bikaner, known for Junagarh Fort, Lalgarh Palace and immensely sacred one of its kind Karni Mata temple, house to numerous rats.